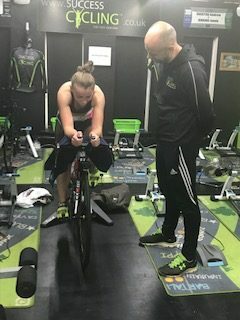 No traffic to dodge and maximum stability – turbo training effectively allows you to ride harder, stressing your heart, lungs and muscles to their limits, causing better training adaptation and improvements in your physical capacity. A basic turbo plus the addition of a rear wheel-mounted computer can help to quantify your sessions. 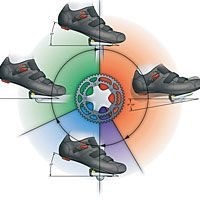 It will also help to ensure accuracy – you can ‘calibrate’ your turbo by accelerating to a given speed, say 25mph, stop pedalling, and time how long the rear wheel takes to come to a standstill. Check this time is similar before each session, and you can be sure that any changes are down to your body adaptation rather than bearing/tyre/roller wear. Once set up, you can use this system to test yourself and measure your progress. If you are using performance testing, (e.g. for fixed distance time trial) attempt a first trial, record the average speed, and start your next session at the average speed of the first. Maintain it until you pass half distance, and then up the pace. You should be able to maintain your times – if not improve them – if you are getting fitter. Try to keep fixed distance time trials short (15 miles max) and work on intensity. Break them into intervals if preferred. Aim to lift the pace for half a mile every 2.5 miles, but also try to hold onto the original pace once the half mile interval has been completed. This is essentially what happens during time trials where the course is lumpy, and elevations in power are required to maintain your speed and momentum. 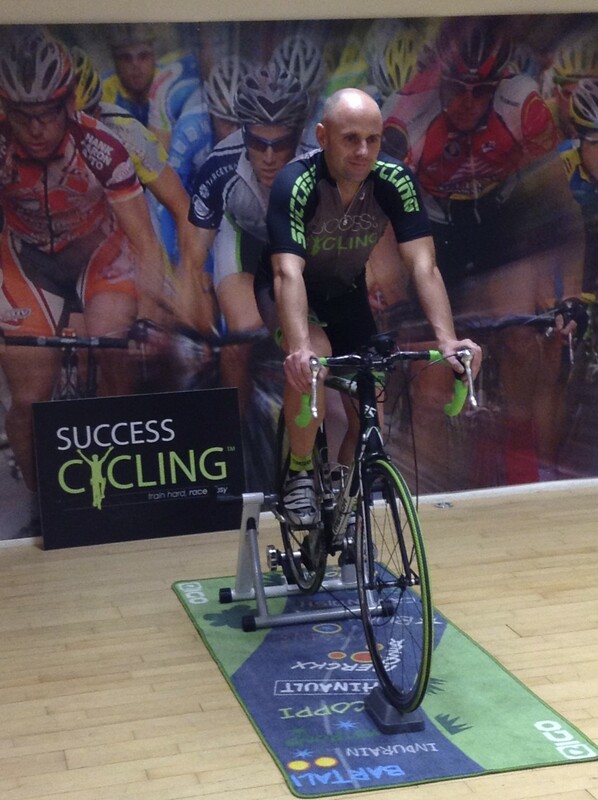 The turbo trainer is also excellent for developing your ability to ride at a high cadence. Many time trialists lose time in a tailwind, as they do not have the ability to spin a gear. Ageing also reduces your ability to pedal at high cadences. 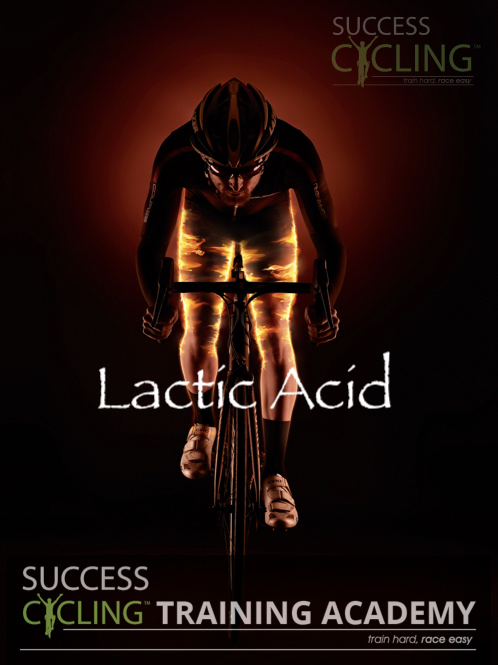 Regular sessions working at a high fixed pedal cadence can help with this problem. 1) Music – high tempo, allowing you to focus on the beat of the music. 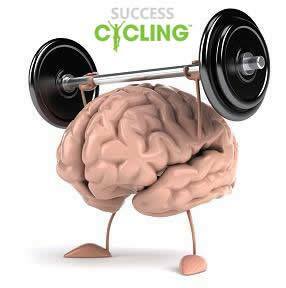 2) Pair up – arranging group turbo training sessions is a great way to keep your motivation high. 3) Plan out the session in advance. Breaking a hour down in to smaller sections can help to make the time pass more quickly. 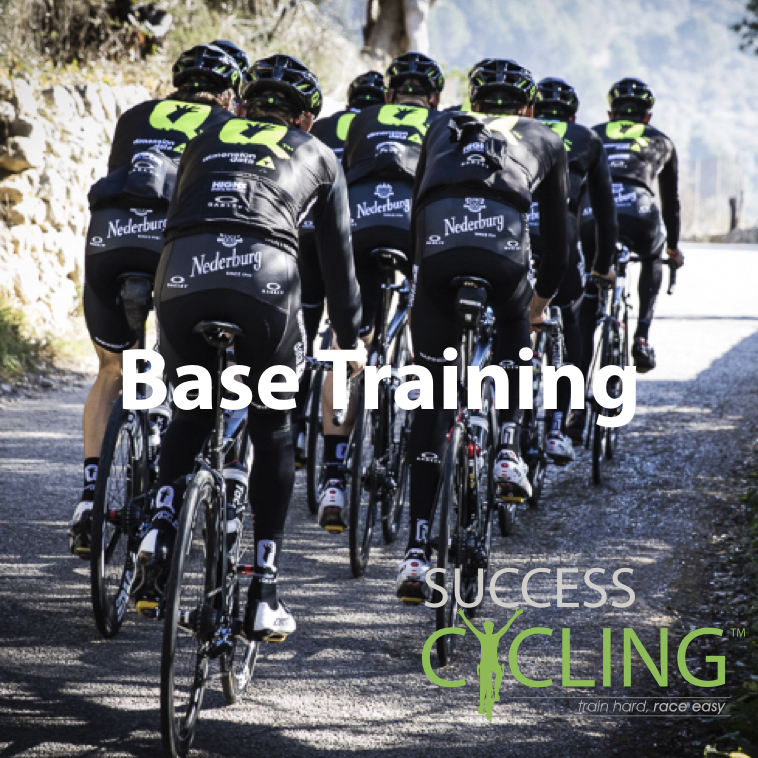 4) Put on a turbo training DVD and simulate riding up your favourite col or spring classic.